For golf lovers, you need to visit the great golf place in Bali, Bali National Golf Club, while you are visiting this Island of Deities. Indonesia has recently been ranked 7th in the Top 10 Countries to Visit in 2019 by Lonely Planet. 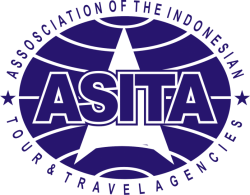 And, as we know, Bali is still the top destination in Indonesia. There are bunches of things to do in this exotic tropical island. Some people do temple-hopping tour all over this Island of Thousand Temples. Some others stay within the coastlines and get tanned. And you, golf enthusiasts, may as well have a fun, delightful golf day while you go on a vacation in Bali. Regarded as one of the best golf courses in 206 countries 2018 by Golf Digest USA, Bali National Golf Course is an experience not to miss. 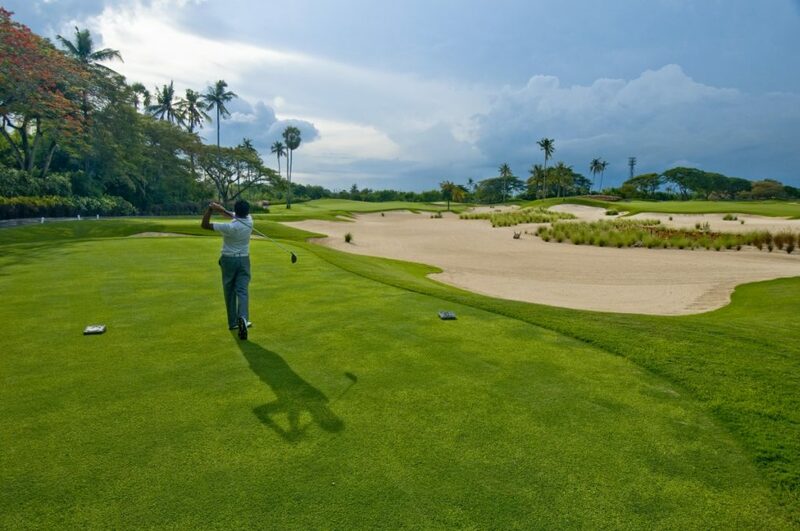 While you are in Bali, a pro golfer or a casual one, everyone can get the best and most luxurious golfing experience. But Bali National Golf Club is not a mere Bali golf course. Besides being a home to an 18-hole par-72 golf course, it is a complex of luxury hotels, convention centers, shopping center, restaurants, as well as a museum. 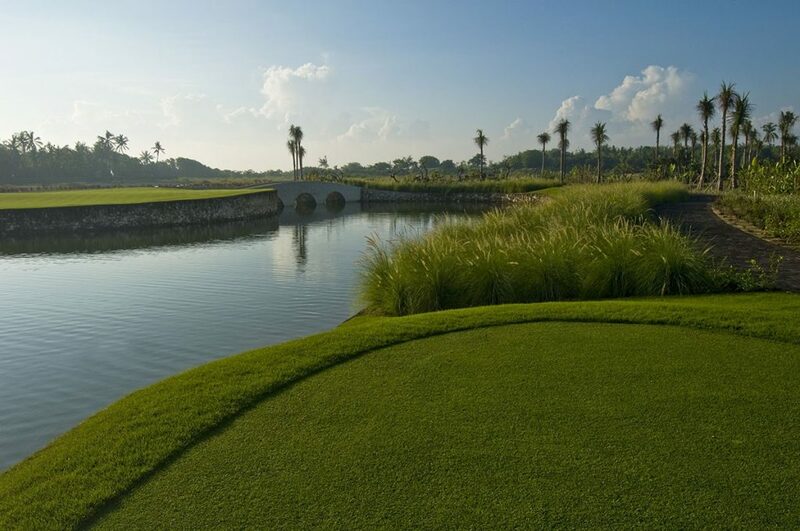 Bali National Golf Club basically offers a little piece of everything within its area. 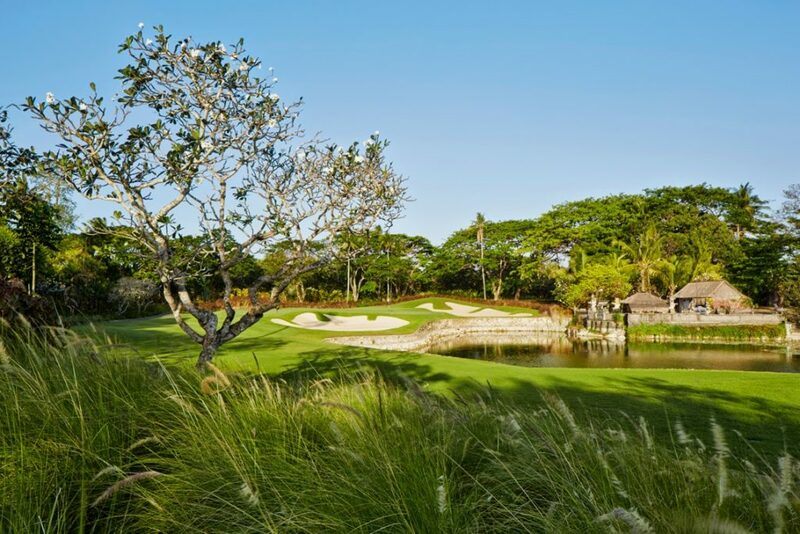 Now before you head there, read up this article to learn more about Bali National Golf Club. Your game will take you around the wonderful golf course with mesmerizing views of the surrounding areas, including the views of the mighty mountain and ocean. The course is specially designed by the well-known course designer Nelson & Haworth to create a luxury and tranquil golfing vibe. During holes 1 to 9, you will see canyons, creeks, and a variety of native plants and birds. When you carry on to holes 10 to 16, go through the well-sculptured lush fairways with mature grove. From here, the real game begins. The challenging Hole 17 and Hole 18 will surely test the skill of every golfer. Hole 17 is in an artificial island green while Hole 18 is a lakeside finishing hole. Tee Times are available every day, from 6.30 a.m., but making early reservation will give you advantages. Interested in trying a round? While daily Tee Times available, it is recommended for you to reserve your tee time before actually coming to Bali National Golf Club and start your game. For this, don’t put yourself into troublesome procedures. Wandernesia is always ready to help you assure your tee time. 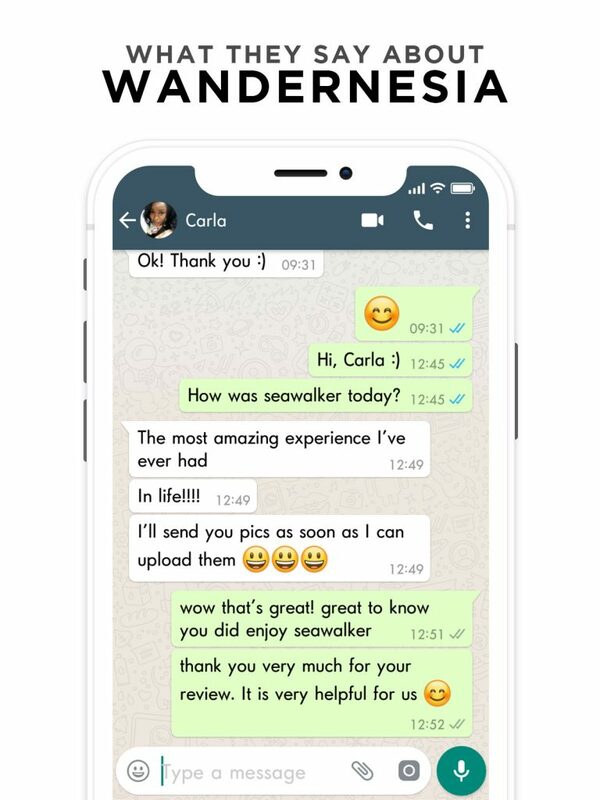 You just need to access the website and contact our professional staff. 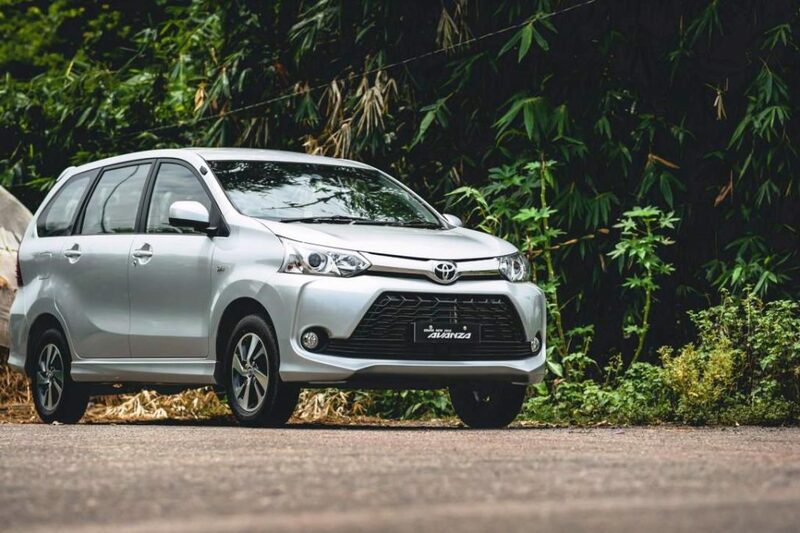 The price you’ll pay will include caddie/golf cart, shoes rental, locker, shower, and hotel transfer. 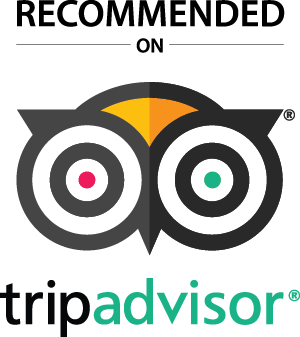 Free consultation with our local tour expert is also available for your need. 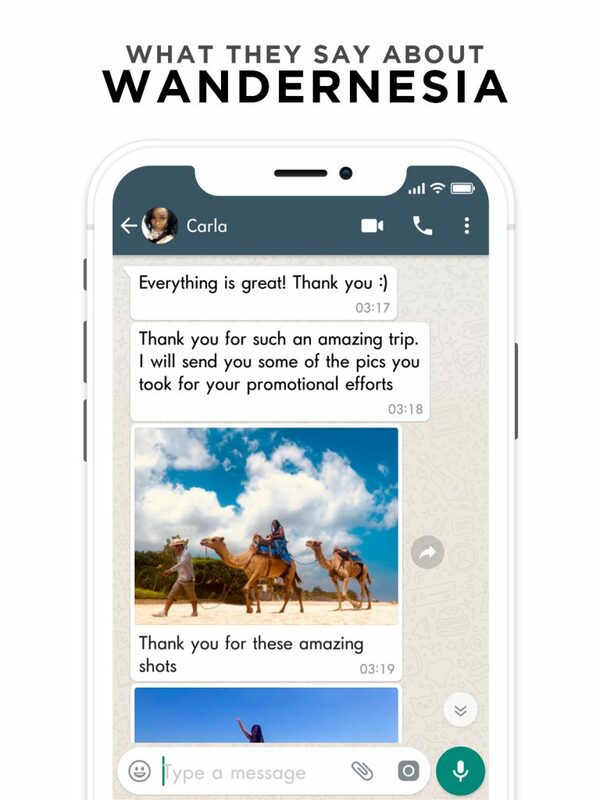 Wandernesia also offers the best price so you can save your budget more. Easy and affordable, with no hidden cost. You’re in a golf course, so of course you’ll expect in having a fun golf day here. Well, that’s not all. 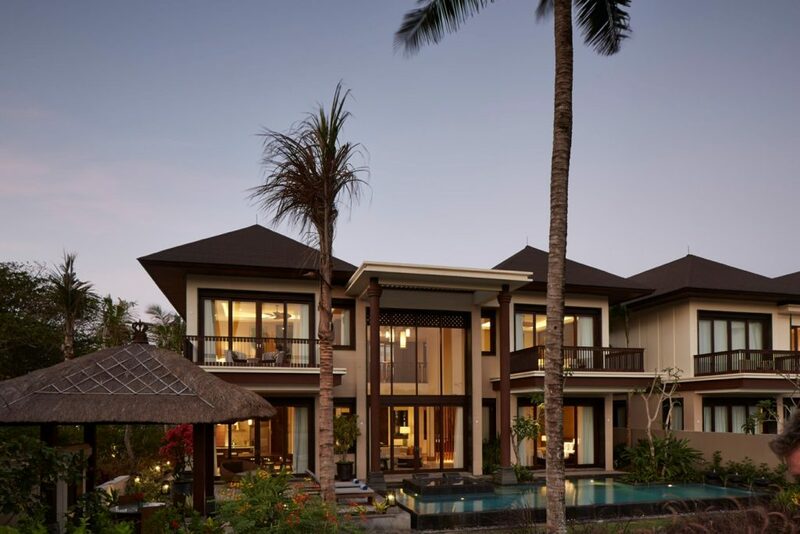 Bali National Golf Club is equipped with numerous facilities for all the guests. Below are some other activities to do within the complex besides golfing. 1. Never golf before? Learn under Leadbetter Golf Academy Bali! Bali National Golf Club is also home to the best golf coaching academy in the world. No matter on what level you’re at now, their professional instructors will always be ready to give you the top coaching experience. There are individual lessons, bootcamp program, Ladies Group, junior program, junior camp, and corporate clinic. So, you can choose the course that suits your need and preference best. 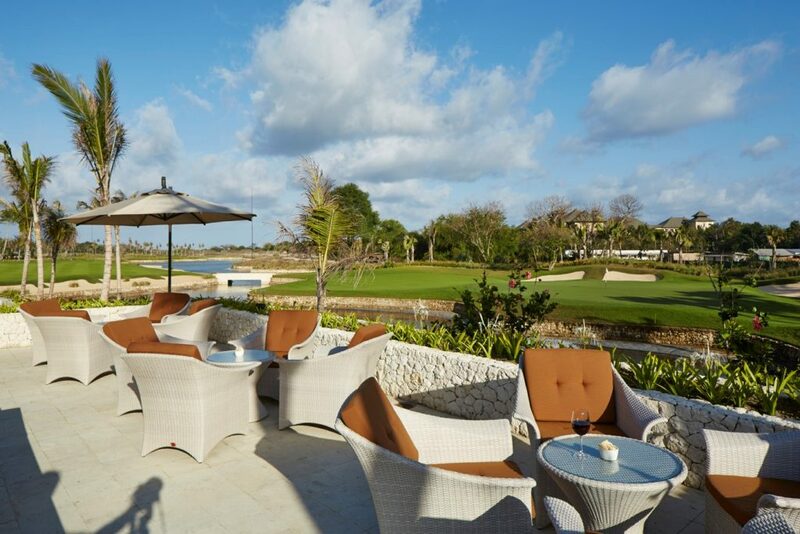 Overlooking the lush green Hole 18, this is where you can unwind yourself while watching your golfing buddies showing off their great golfing skill to finish their round. Designed with grand decoration and interior, this lounge offers a tranquil and fancy dining or snacking experience with ultimate luxury and comfort. Enjoy a wide range of healthy snack, exotic cuisine, and beverages. This lounge is not only available for private meeting but also a grand bouquet. You can also personally discuss the need for your event with the chef. 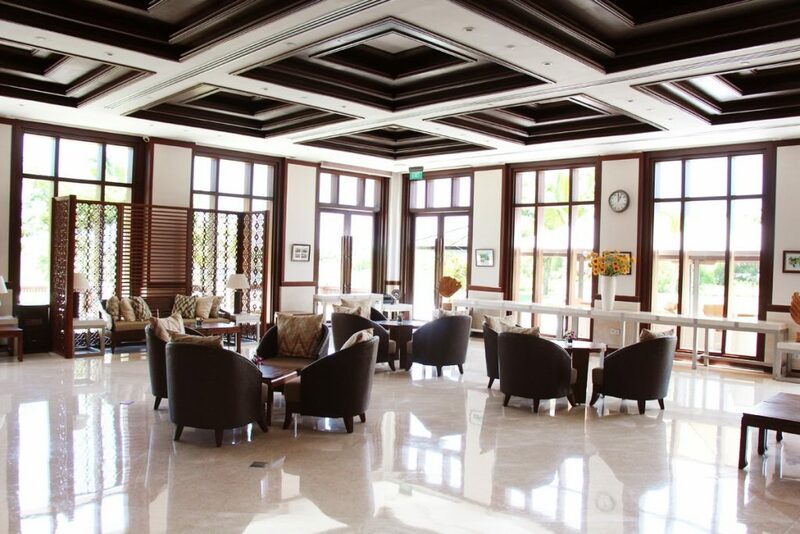 Perfect for company meeting or gathering, the VIP Lounge of Bali National Golf Club not only offer luxury but also privacy. While this lounge can accommodate up to 40 persons at once, the private VIP Meeting Venue is also available for a meeting with up to 16 members. Special arrangement can also be pre-prepared for your need so you can hold your event here successfully and wow your guests. Within the complex, there is The Pro-Shop, packed with plentiful golfing items from a range of brand and logo. You can shop for some golf equipment and accessories for your course. There are also gift vouchers available, perfect as present for all occasions. 5. Who need to look for another accommodation when you can stay inside?